The Map of the Qin Dynasty shows the area under the rule of the Qin Dynasty. Click the map to enlarge it. 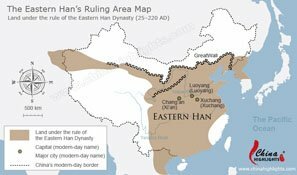 The Qin Dynasty was the shortest reigning dynastic clan over the first large empire in the region. 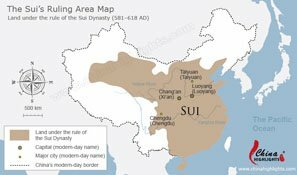 The Qin rulers conquered every other region of the former Zhou Empire and some surrounding peoples as well. 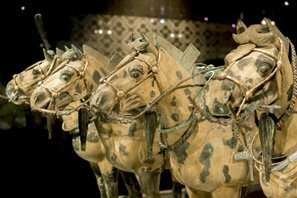 Read more about the Qin Dynasty and the Terracotta Army in Qin Dynasty.